Augusta Health’s Cancer Program will celebrate National Cancer Survivors Day on Sunday, June 2 from 2-4 pm at the Augusta Health Cancer Center. The program will include recognition of survivors, remarks by physicians and survivors, tours of Augusta Health Cancer Center, information booths, refreshments and music. National Cancer Survivors Day is an annual treasured celebration of life that is held in hundreds of communities around the United States. It is one day each year to pause to honor everyone who is living with a history of cancer—including the nearly 14 million cancer survivors in America. A survivor, by definition, is anyone living with cancer—from the moment of diagnosis through the remainder of life. National Survivor’s Day is a time to celebrate milestones, recognize healthcare providers, family and friends who have given support—and to honor those who demonstrate that life after a cancer diagnosis can be meaningful, productive and rewarding. 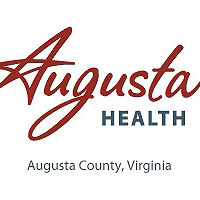 To register for Augusta Health’s event, please call 540-245-7910 and leave a message for the registration staff.